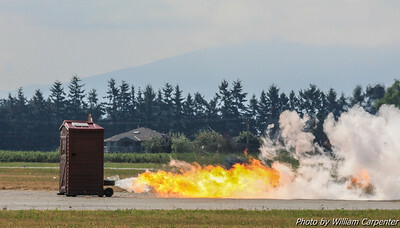 A panorama of the show site taken from the top hatch of a C-5 Galaxy on static display. 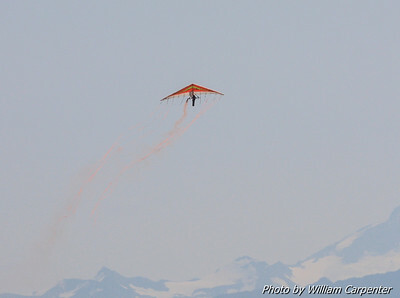 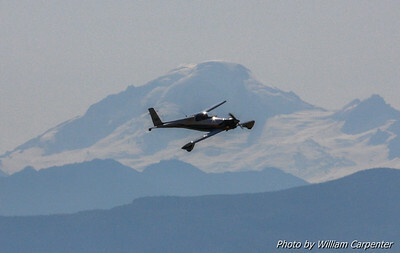 Two Rutan designs take part in a flyby put on by the Abbotsford Flying Club. 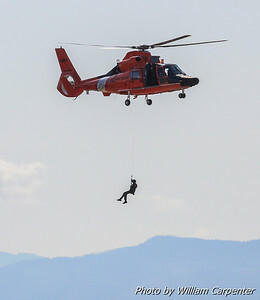 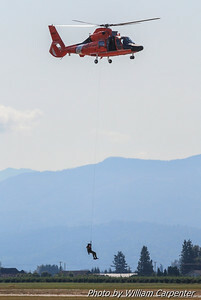 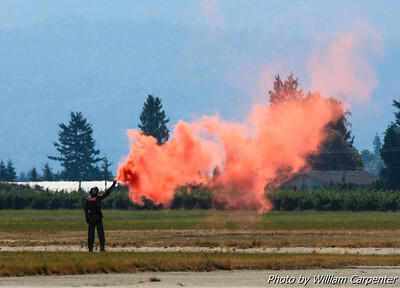 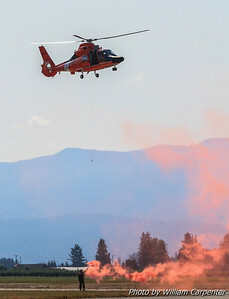 A USCG HH-65 Dolphin puts on a search and rescue demo. 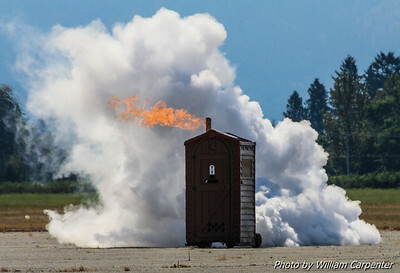 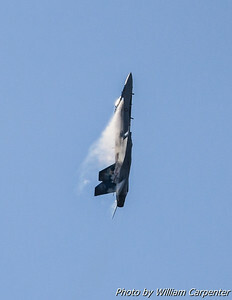 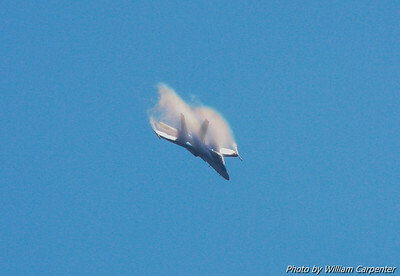 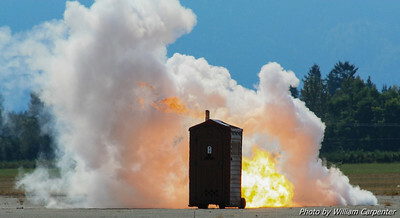 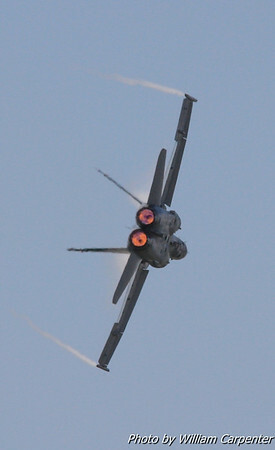 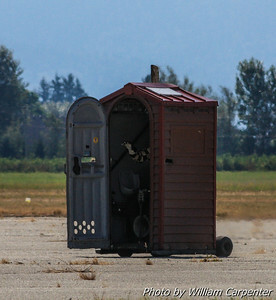 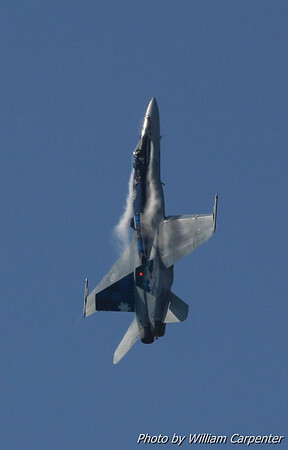 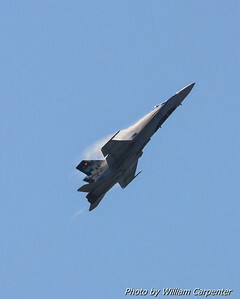 A jet powered outhouse... you can't make this stuff up. 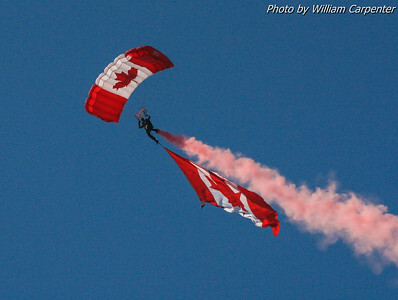 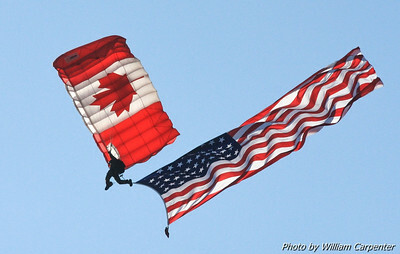 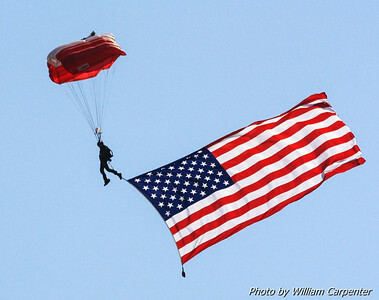 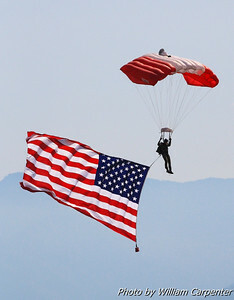 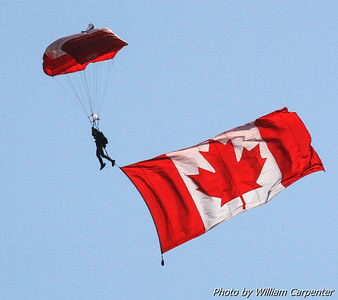 Skydivers from the Canadian Forces Skyhawks tow the Canadian and American flags during the opening ceremonies. 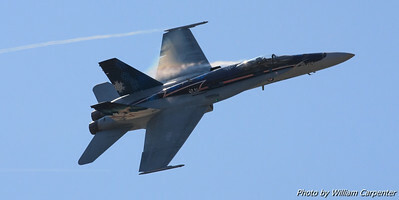 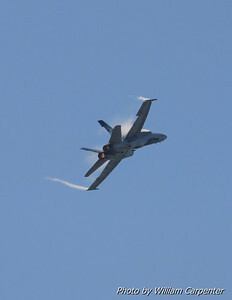 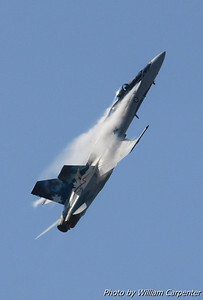 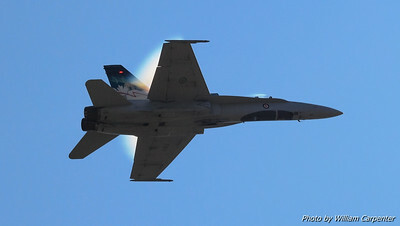 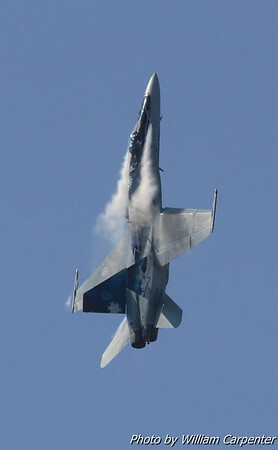 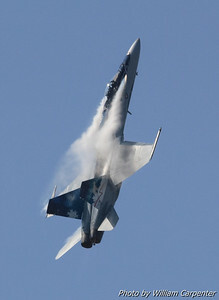 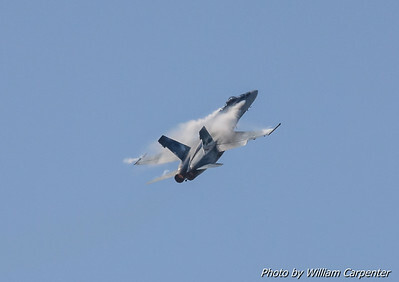 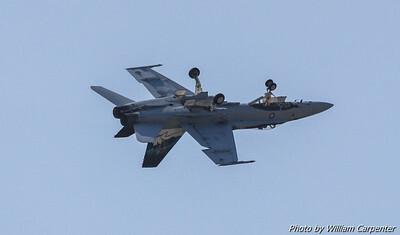 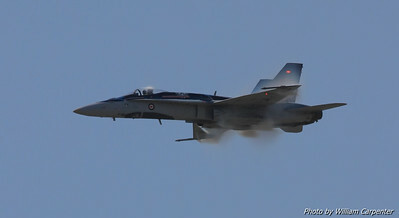 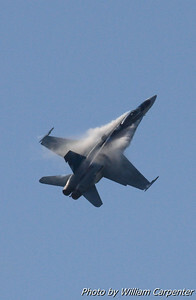 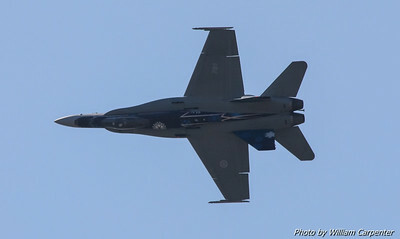 The one good thing about the hazy conditions; lots of vapor! 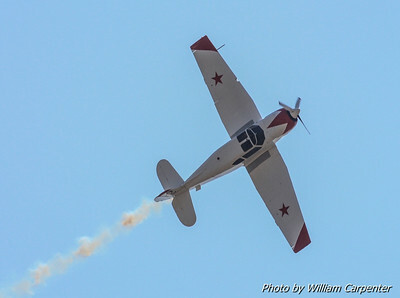 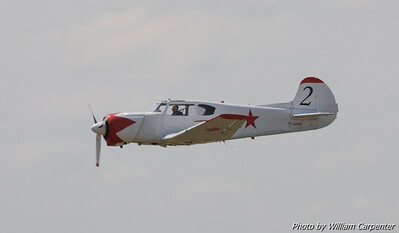 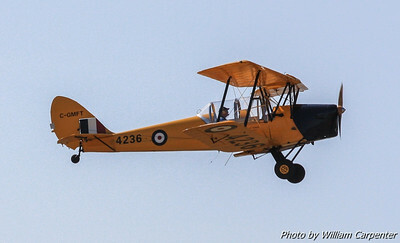 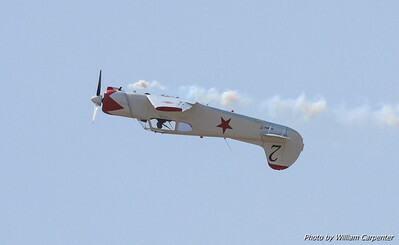 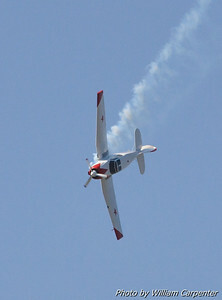 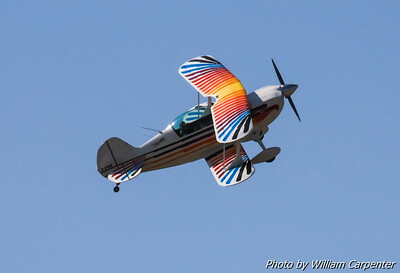 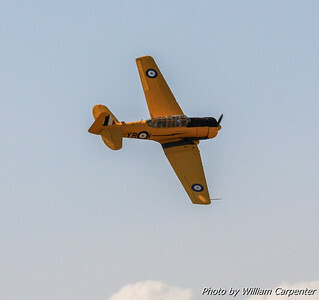 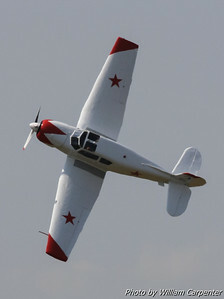 Ross Granley flies his Yak-18 in one of the best displays of airmanship on the air show circuit today.